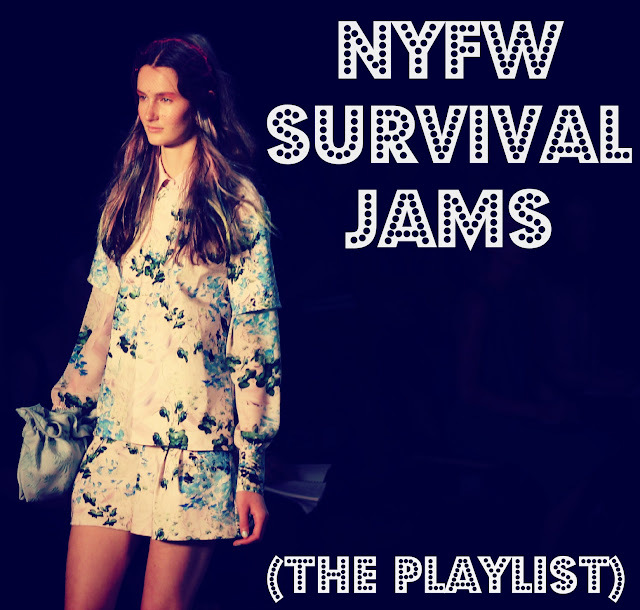 Sooooo, two weeks ago I promised you a Fashion Week playlist. Well, life got crazy, #IFBcon happened and then all the sudden NYFW was in full swing and I still don't have wireless Internet in my apartment and... Ugh, I'm sorry! Better late than never, and two days before it's all over, here are my jams to help you power through 'til Thursday (and beyond). It's oldies, goodies, new jams, covers and even a few "club bangers" - all interlaced with a feminine, fashionable twist. Enjoy!